RJ models are powerful, proven salt chlorinators with advanced controls. 16000 gal. (max) - 11000 gal. 8000 gal. 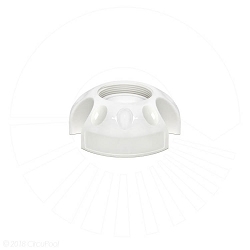 Pool owners love CircuPool RJ Series salt systems, the #1 favorite to keep your swimming pool crystal clear without the hassle or expense of buying chlorine. 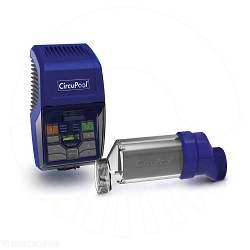 The CircuPool RJ-16 uses advanced Titanium cells to effortlessly and automatically maintain sparkling blue water for a luxurious swimming experience. The new 3rd-generation RJ-16 features advanced modern design, heavy-duty construction, OLED digital controls & display, and premium clear cell. Best of all, the RJ-16 is backed with award-winning customer service and an industry-leading warranty. 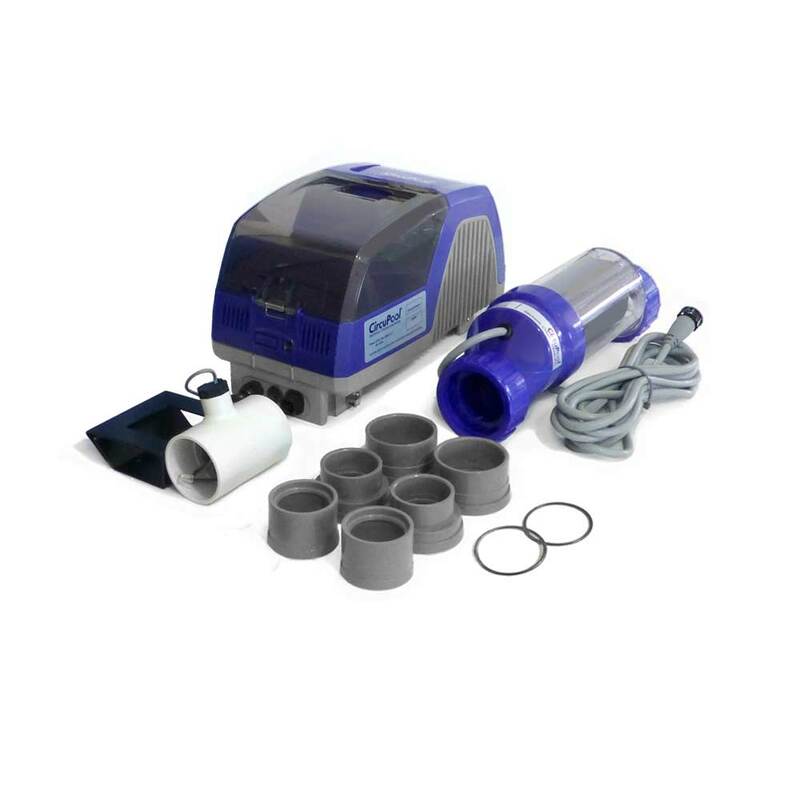 The RJ Series will replace Hayward Aqua Rite systems without cutting or gluing, making it a snap to upgrade your salt pool system! I have a little less than 10K gallons. Since installing this unit I already see a difference and simple to use. I bought this system for my small indoor pool. It works great and I have not had a sinlge issue. Instructions and manual gave a lot of good info. I just installed this unit and it appears to do all it is advertised to do. Easy clear instructions, good customer support. This is my third unit, and it is the best. Great improvements. Hooked it up and it started working fine. The support of the company is top notch. Thanks. 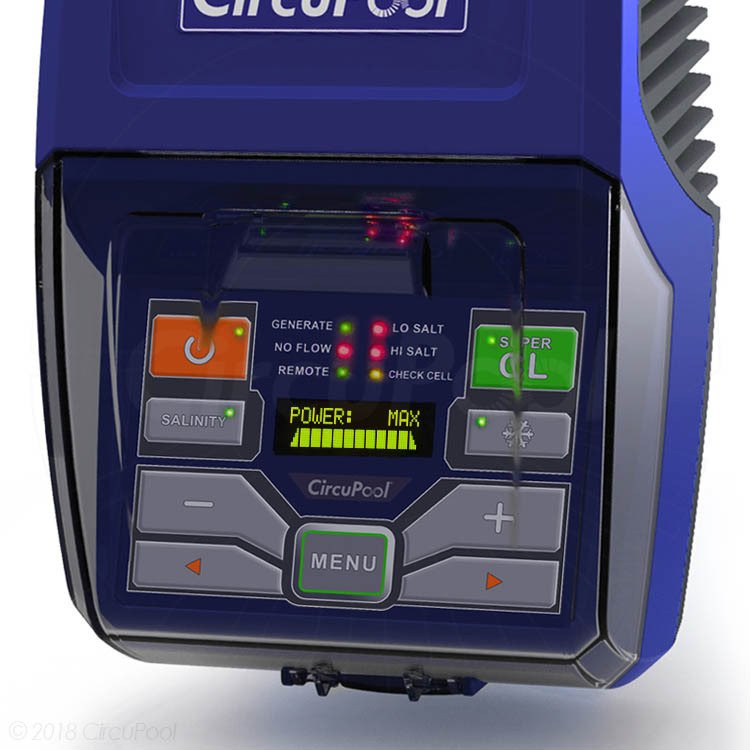 The CircuPool RJ-Series (3rd-gen) Control Module is a medium-size die-cast aluminum and moulded-plastic box with a backlit alpha-numeric OLED (Organic Light Emitting Diode) screen and touch-sensitive keypad. It mounts on the wall (or nearby a post or support) by hanging the control box via a tool-free mounting system that easily attaches to a mounting bracket which has been secured on a wall or nearby support. The digital display screen shows the the chosen percentage chlorine output and power bar-graph. 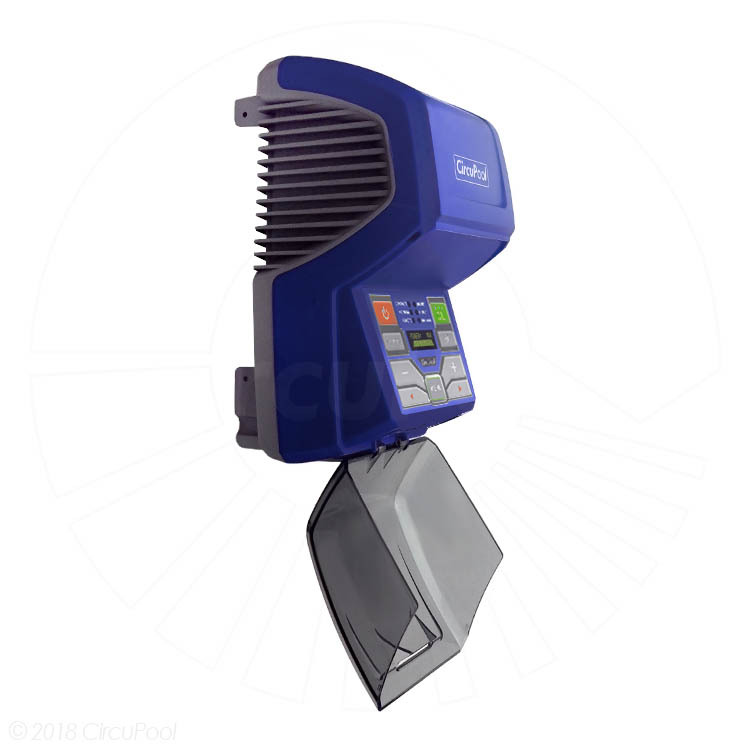 The keypad controls allow you to raise and lower the chlorine output, view the system menu, activate the SuperCL mode, activate the Winter Mode, or display the average salinity. The menu system will display the temperature, cell power diagnostics, current salinity, and additional settings. The CircuPool RJ-Series (3rd-gen) Electrolytic Cell is an inline clear housing which contains built-in titanium electrode plates and built-in power supply cord. The RJ salt cell has threaded connections on the inlet and outlet, which allow quick access for service or winter removal (if applicable). 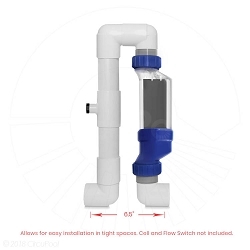 The threaded connections attach to 2" or 1.5" unions (both sizes included), which are glued to the existing return-line PVC plumbing.The clear cell makes it possible to see the chlorine generation and to more easily inspect the cell. 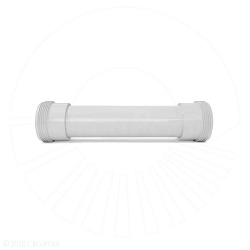 The CircuPool RJ-Series comes with its 2" an 1.5" threaded cell unions, Flow Switch, Vector Jet, mounting bracket plus hardware, and instruction manual.